I was flicking through my baking books for a while, trying to find something to bake. I wanted something that would be perfect for a sunny day, something that didn’t have chocolate in it, something fresh and full of flavour!! This was the perfect recipe! 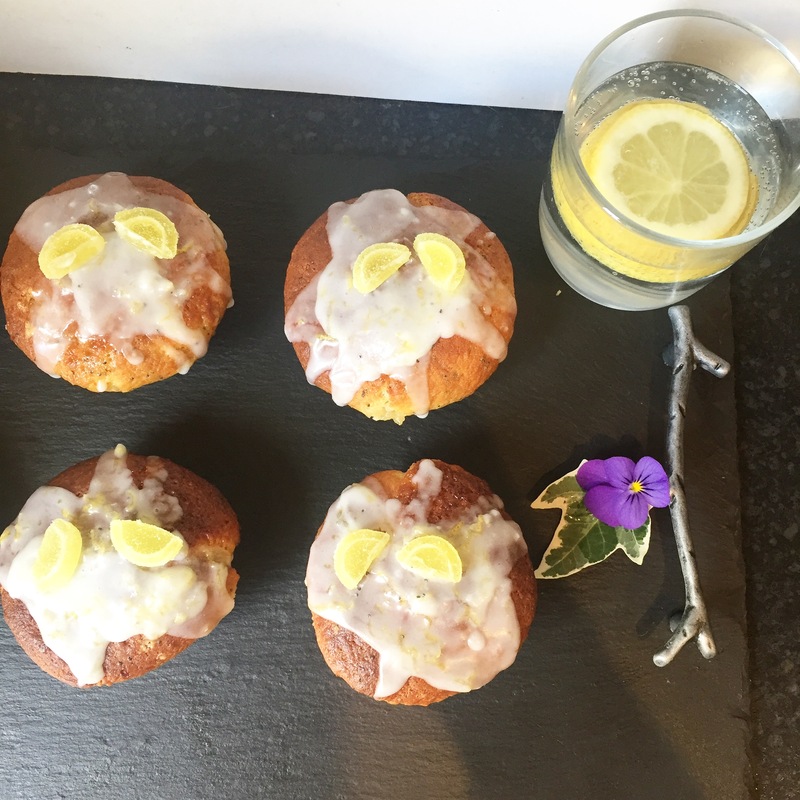 These muffins are the sort of muffins that you would see while at your friends house for a catch up, in the back garden on a cute plate! 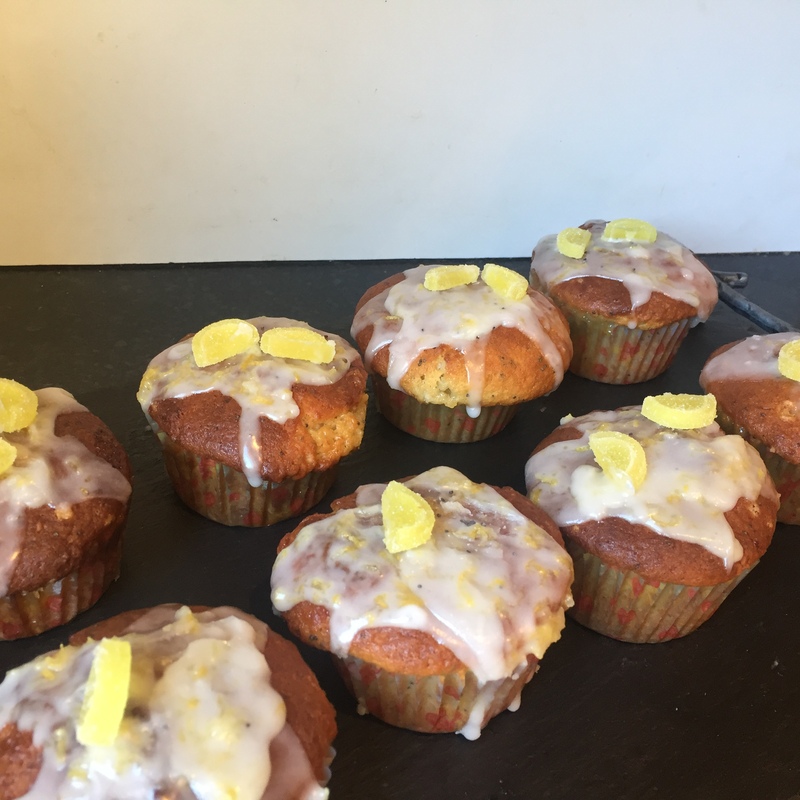 They are very summery muffins, perfect for the sunny weather that we have had recently. They are VERY LEMONY AND CIRTUSY!! If you love all things lemon, then you are bound to love these. 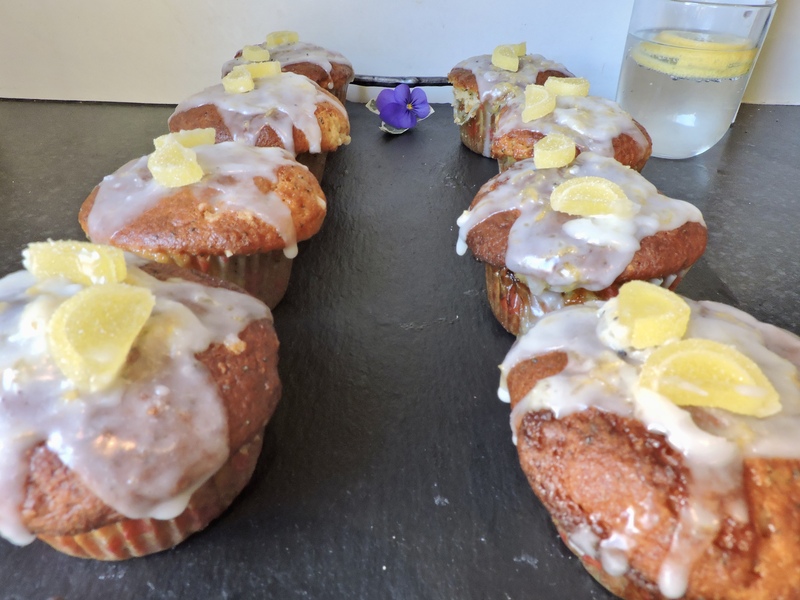 They are a light and lemony muffins with a lemon curd middle. I was really exicted to make these as i have never made any sort of curd before, so i was looking forwrd to trying something new. Step one: Pre-heat oven to 200oc. 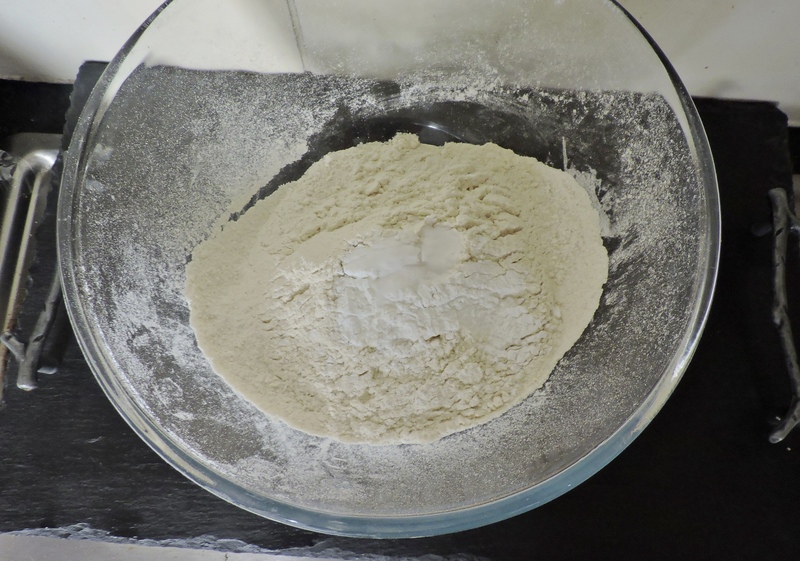 Sift the flour, baking powder and bicarbonate of soda in to a mixing bowl. 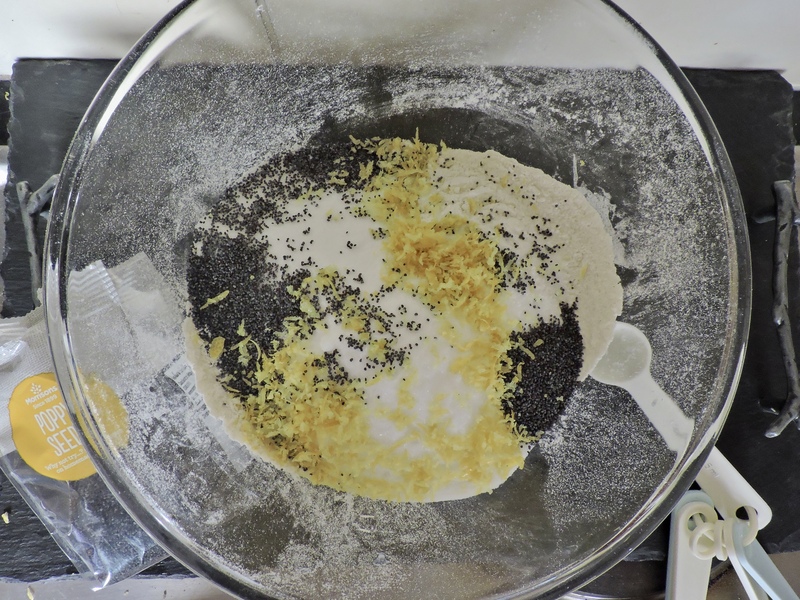 Then add the caster sugar, poppyseeds and lemon zest and mix throughly then make a well in the centre. 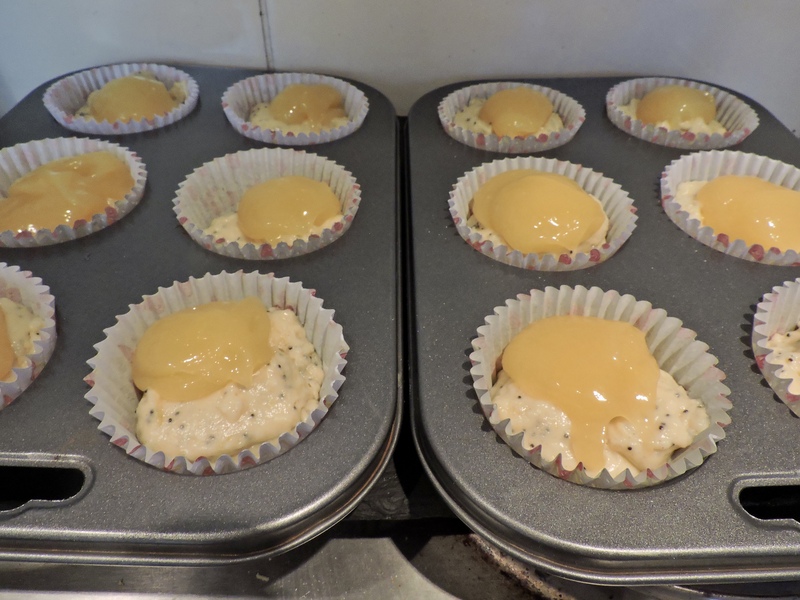 Step three: Spoon half of the mixture into the paper cases in the muffin tray, diving equally (about a third full) Spoon a teaspoon of lemon curd on the centre of each, then carefully top with the rest of the muffin mixture. 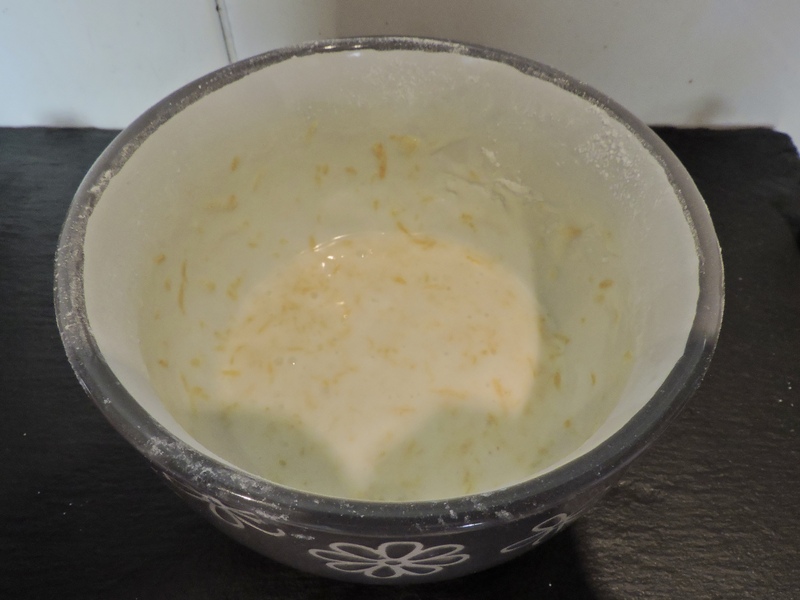 Make sure you divide it equally and don’t add too much muffin mixture at the start before the curd, don’t forget it grows in the oven. 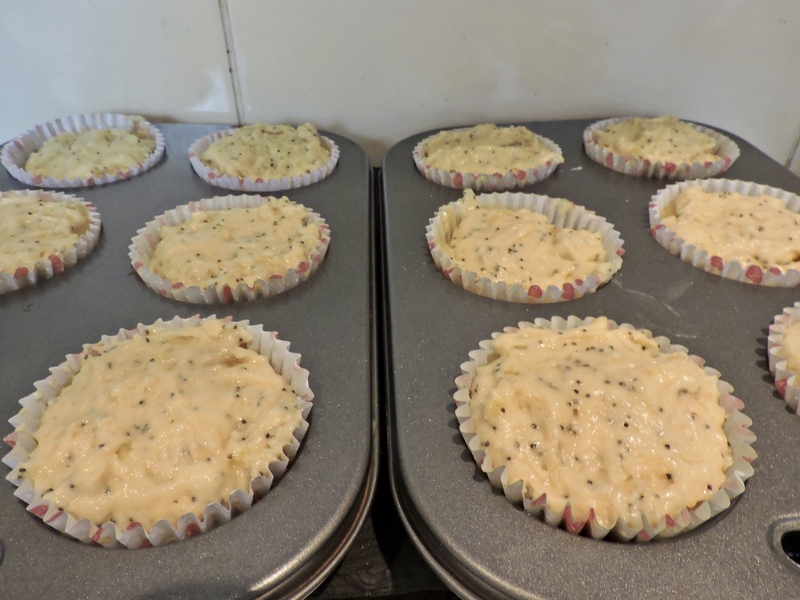 Step four: Bake in the oven for 20-15 minutes until the muffins are golden, brown and firm. Rotating in the oven if needed. 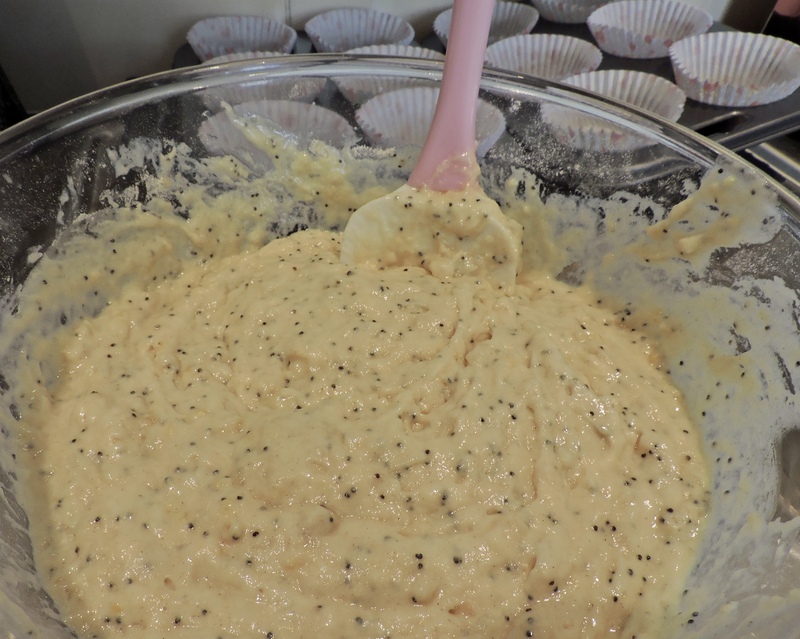 Step five: While the muffins are baking you can start on the glaze icing. 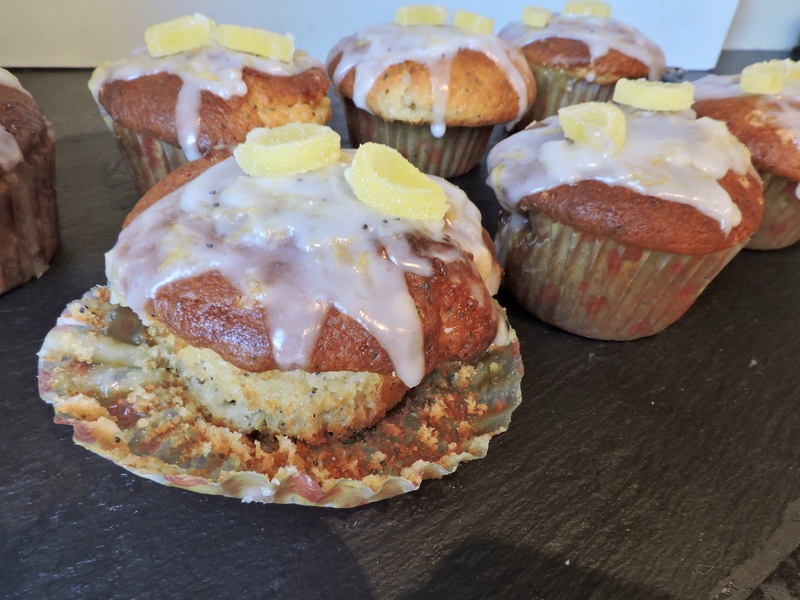 Sift the icing sugar into a bowl and stir in the lemon zest followed by lemon juice ( 1 – 1 1/2 ) to make a smooth, runny consistency – when you spoon the mixture it should run off the spoon. Step six: As soon as the muffins are done, put them on a wire rack. Working while the muffins are still hot, pour the icing glaze over the muffins. It is better to do while they are hot, this creates the glaze. Let it run down the sides, so you will need to clean under the wire rack. You can decorate them however you want. 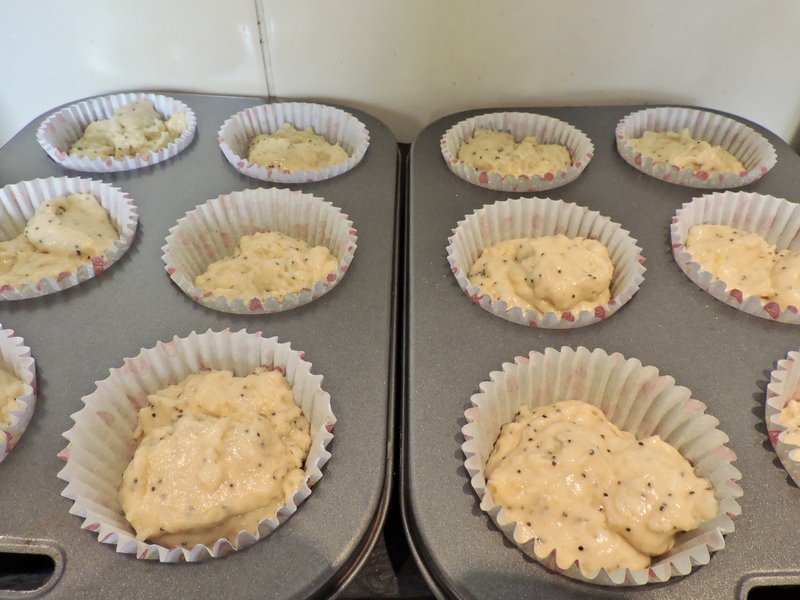 Step seven: After the icing has stopped running, clean the wire rack and place the muffins back on there. Leave them to cool and once they have cooled they are ready to eat. Step one: Put the butter, sugar, lemon zest and juice into a heatproof bowl. set the bowl over a pan of simmering water ( the base of the bowl shouldn’t touch the water in the pan ) and stir the mixture using a wooden spoon until the sugar has completely dissolved. Step two: Remove the bowl from the pan and set it on a heatproof surface. Beat the eggs with the yolks in a small bowl until well mixed, then strain into the lemon mixture and combine throughly. Set the bowl back over the pan of simmering water and stir the lemon mixture until it becomes very thick and opaque. Don’t turn the heat up because the eggs will scramble and you don’t want this. The lemon curd is ready when you can draw a finger through the curd on the wooden spoon and make a clear path. Step three: Immediately lift the bowl from the pan and spoon the lemon curd into the jars. 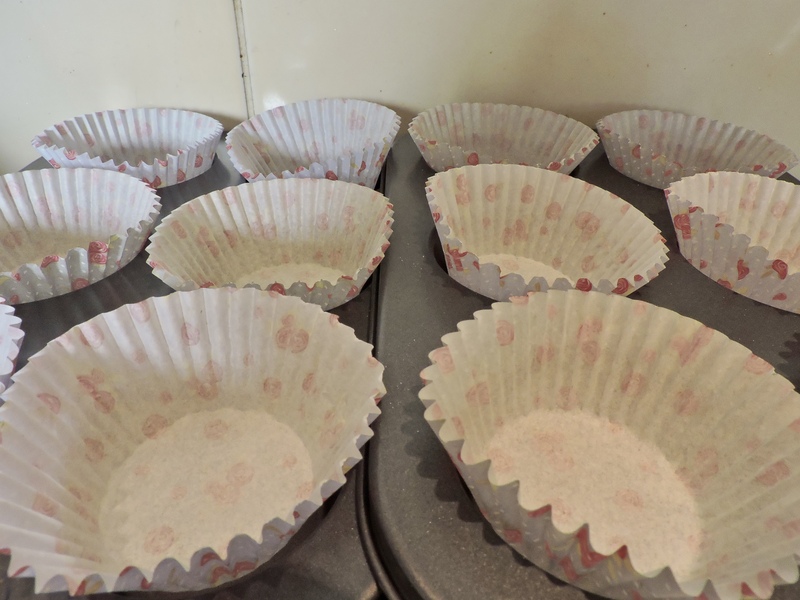 Cover with wax discs and leave to cool before covering tightly with the lids. Store in fridge for up to 2 weeks. Ooh these look delicious! Definitely going to give them a try, love any sort of lemon cake! They look so yummy! Can’t wait to try this myself! There look delicious! I love anything lemon flavoured! Heading to my kitchen right now! LOL! These look delicious! These look seriously yummy! Thanks for doing a post on these with the recipe too because if love to try making these myself. Love a good muffin.